Planning a destination wedding can be stressful both on your pocket and time. Even with budget airfares and hotel/resort promos, there are many other expenses involved when you decide to bring your wedding guests to a distant location. Organizing wedding details, logistics to a remote wedding location can also be strenuous on your time, especially worktime. These are the reasons why a nearby wedding location is both practical and idyllic. 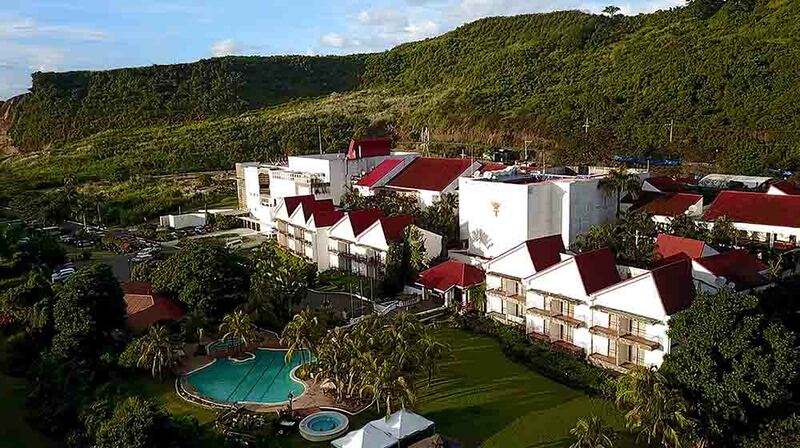 Nestled in the hills of Binangonan, Thunderbird Resorts Rizal is that perfect wedding destination you’re looking for. Views of the majestic Sierra Madre mountain range and the scenic Laguna Lake will make you (and your wedding guests) forget it is only 45 minutes away from the Metro. The resort community will provide you with a wedding destination, getaway and more. 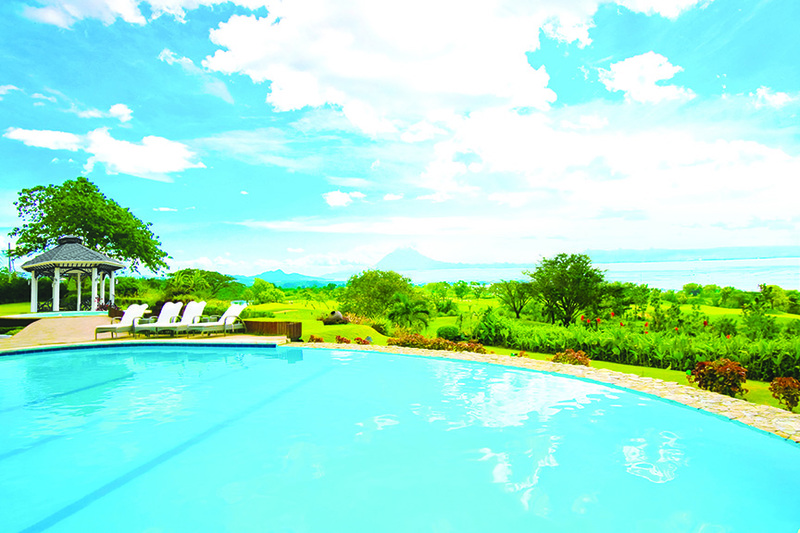 Thunderbird Resorts Rizal provides you with the vistas you need for your pre-nuptial shoots. Their pre-nup packages can include an overnight stay to better experience the resort amenities. Their wedding packages offer many options. You can celebrate your Rizal destination wedding outdoors by its infinity pool which merges with views of the majestic countryside. You can also hold it indoors at the resort’s convention center which accommodates up to 600 wedding guests. Whichever you choose, Thunderbird Resorts Rizal wedding packages come with a sumptuous feast, a three-layer fondant wedding cake, a personalized menu and place cards, and floral arrangements. In addition, you will get complimentary overnight stay, massage services, and even casino bet coupons for a good post-wedding R&R with your loved one. Thunderbird Resort is a name renowned for luxury and this is best seen in their accommodations. 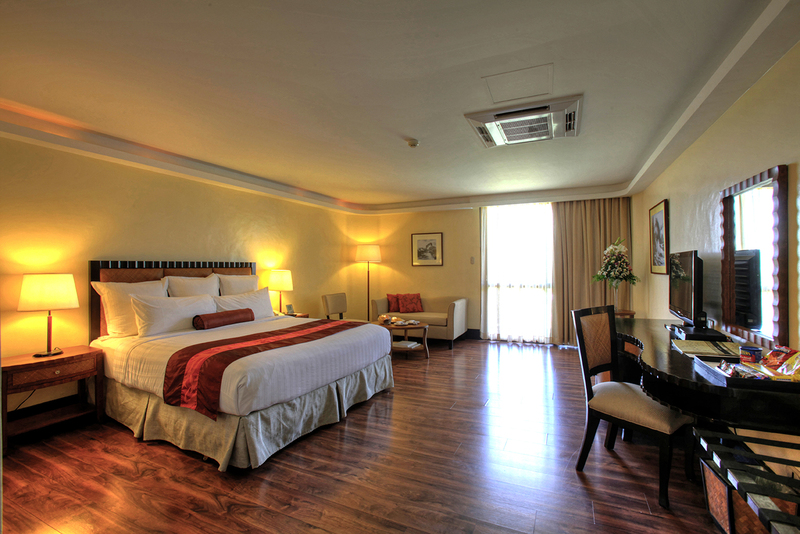 Their rooms are very spacious and amenities include Wi-Fi access and a private balcony. Whether you go for De Luxe or Presidential suites, you can be sure that the rooms are not only clean, elegant, but come equipped with electronic locks and a smoke detector for your safety. The resort has much to offer to recharge after all the stresses at home, work and in preparing for your wedding. At the resort’s Zaphira Spa, the hands of their professional therapists will gently knead the stress out of your body. Immerse yourself in the calming waters of the infinity pool and the therapeutic views of the lake and mountains. Thunderbird Resorts Rizal also has a gym, billiard tables, and beach-volleyball courts. It also runs the nearby Eastridge Golf Club of championship caliber. Surprise your palate at the Koi restaurant serving Asian Fusion cuisine. Inhale the cool mountain breeze at the Pool Bar while savoring their delectable cocktails, charcoal grilled specialties and other snacks. Thunderbird is a name you would associate with world-class gaming facility. The resort’s Fiesta Casino is true to that reputation. The casino features 30 table games and 338 slot machines to test your winning streak. It also offers raffles and promos that up the ante on the pit. Non-gamers can also enjoy live entertainment by big names in the entertainment industry. 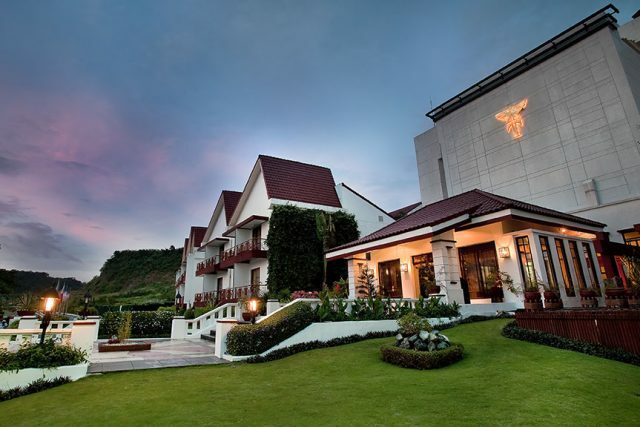 There is more to the province than what lies within Thunderbird Resorts Rizal. Let the resort be your (and your wedding guests) jump-off point to the many attractions in this hilltop retreat Natural, Cultural and Culinary. Rizal is home to many natural wonders. The mountains and trails are perfect for outdoor lovers. It is home to many springs and waterfalls. The most well-known include the Hinulugang Taktak and Daranak Falls which are popular hiking destinations. You can catch a glimpse of nature’s delicate balance at the PACEM Eco Park within the Assumption Antipolo Campus. It features a mini forest, pond, 80 butterfly species and an aviary with many local and foreign species of birds. More exotic species are also on display at the Avilon Zoo in the town of Rodriguez. Be awed by the natural formations at the Mystical Cave. Rizal’s mountains, the Laguna Lake, and other wonders continue to serve as inspiration for artists for over a millennia. The resort’s Eastridge golf course is guardian to the Angono Petroglyphs – 3,000-year old cave drawings etched on a rock wall depicting human and animal figures. More contemporary artists like Fernando Amorsolo, Carlos V Francisco, Nemi Nemiranda and Jose Blanco settled in its towns. Their homes have since been opened to the public as museums and art galleries. The cultural heritage of Rizal’s many towns is also pretty much alive in its churches which can also serve as idyllic wedding ceremony venues. Some of them were built as early as the 16th century by Spanish missionaries who employed local labor and Chinese artisans to build them in a distinct architectural style. Among the most well-known is the Shrine to Our Lady of Peace Good Voyage in Antipolo which continues to draw pilgrims. This province is not only gifted with refreshing scenery and artistic folk. It is blessed with a bountiful harvest. For an authentic wedding feast and special wedding giveaways, try Rizal’s known produce such as luscious mangoes, balimbings [starfruits], cashews and native ricecakes. Rizal also shares with Laguna many delicious species of crabs, shellfish and fish including tilapia, bangus [milkfish], kanduli [sea catfish], ayungin [silver perch] and biya [long-finned goby]. 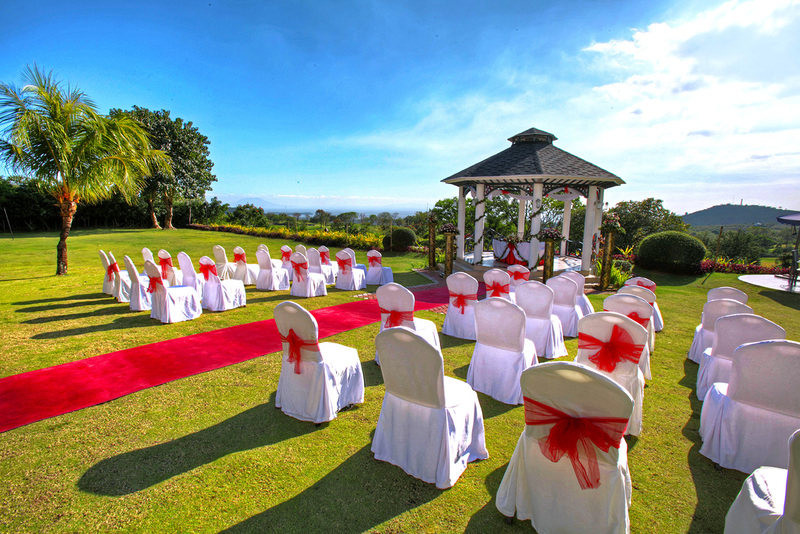 Convinced of a Rizal destination wedding for you and your loved one? Inquire with Thunderbird Resorts Rizal today and let their expert events team help you plan it with ease and perfection.